Small Business Loans - Westshore Mortgage & Investments Co., Inc.
Westshore Mortgage & Investments Co., Inc. The United States is fueled by the success of more than 27 million small businesses that makes up the backbone of the American economy. We recognize the need for specialized financial products that will help these small businesses thrive at a time when lending options are extremely limited. And so, Westshore Mortgage & Investments Co., Inc. has aligned ourselves with the premier provider for Merchant Cash Advances and Merchant Small Business Loans in the United States. Effective immediately, Westshore Mortgage now has the ability to offer both Merchant Cash Advances and Small Business Loans to our small business clients even if you do NOT own real estate. 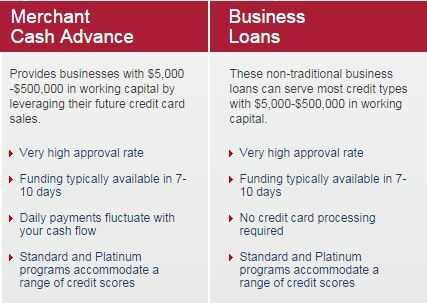 Non-Traditional small business loans serve most credit types with $5,000 to $500,000 in working capital. Real Estate ownership is NOT required. * Small Business Loans are currently available in the following states ONLY: AL, AK, AZ, CA, DC, GA, ID, IL, IN, IA, KS, LA, MA, MD, ME, MN, MS, NC, NE, NH, NJ, NM, OH, OR, PA, SC, UT, WA, WI. Call if you don’t see your state. New states are being added regularly. MSBL’s will be available in all 50 States January 2015. Click the links below to download the free program flyers and Merchant Cash Advance / Small Business Loan application. Call the office with any questions. (813) 749-6953.